Any bride-to-be knows the importance of getting the right bridal bouquet and wedding flowers. On your wedding day you will want every detail to be truly beautiful. This includes flowers that will complement your wedding dress, so that when your florist hands you your bouquet you feel amazing. If you are like me, then you know very little about flowers and apart from being able to name some of the more common flowers (roses, daffodils and daisies) and appreciating that they are beautiful to look at. Then you probably know even less about considerations when choosing a bridal bouquet? Colours are important but so is the type of flower that you choose. Some flowers are seasonal and depending upon the time of year that you are getting married it may be more difficult (or impossible) to obtain them. This is because they have been specially grown they could be much more expensive than you anticipated. Peonies are available in Spring, hydrangeas in Summer, in autumn you can have sunflowers and in winter tulips. This is why it is important to take advice professional advice from your florist as early as possible. It should be high up on your to-do list and considered soon after you have picked out your dress. 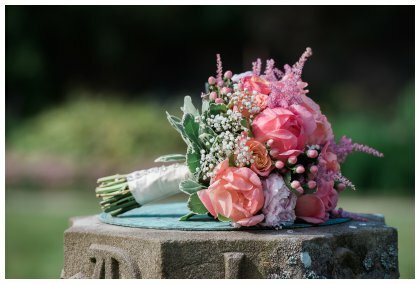 There are also a wide variety of different styles of wedding boquet to consider, the most popular including the classic round bouqet or posy, loose hand-tied arrangements, cascade or teardrop, which offer a trailing waterfall of flowers. All add a slightly different look to your wedding style. 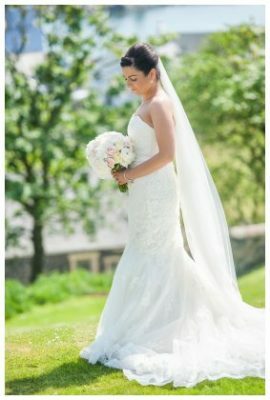 Clair Hale from Hugh McCormick & Co in Stranraer supplies flowers to many of the weddings that I photograph, so I contacted Clair to ask a few questions that were relevant to brides-to-be when considering their bridal bouquet. We have been a florist shop for well over 90 years, I am a third generation florist in a family run business. 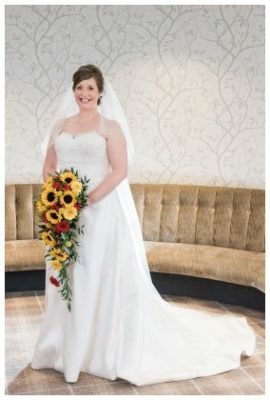 What range of wedding flowers do you sell? We sell a large range of floral items from hand-tieds to baskets, funeral tributes to weddings. Gifts such as Belgian chocolates, teddies and balloons are available for purchase. Do you have a specialty or a signature piece? I would have to say no. We do a lot of floral items in the shop. We find that each customer is looking for something different or something special. What is the most popular style of bridal bouquet and why? The most popular would be a hand-tied bouquet. It suits the styles of dresses which are fashionable at the moment. 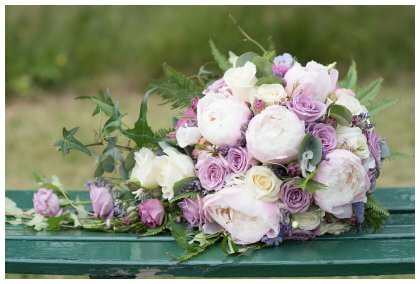 What are the best or most popular types of flowers for a bridal bouquet? A Rose is the most popular at the moment, they come in such a wide variety of colours and petal finishes. Growers are adding more and more to the varieties each year. What advice do you have for brides who are choosing their wedding bouquet? When choosing your wedding flowers remember that it’s your day. You should have the flowers you dreamed of having (or as near as possible depending on the season). You should also choose a bouquet that complements your dress and the bridesmaids dresses. Are there any flowers to avoid? I would try to avoid dyed flowers as their colour can transfer on to the dress. What is the average cost of a bridal bouquet? 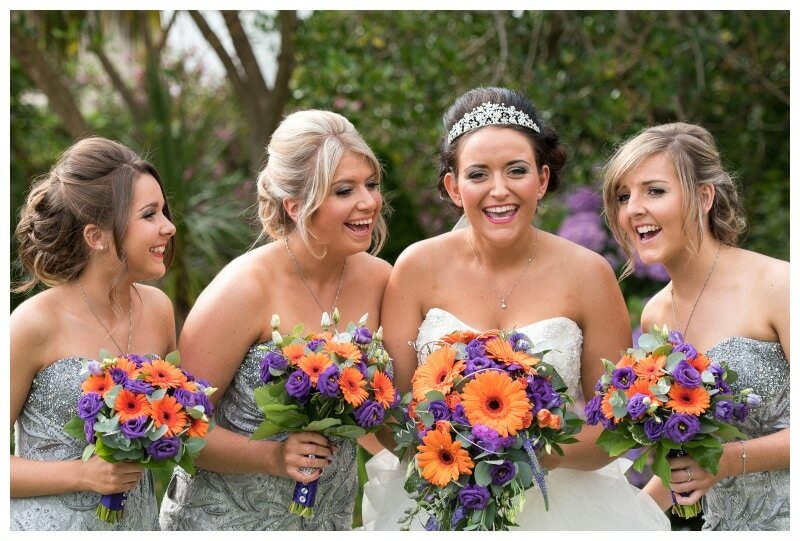 The average cost of a wedding bouquet is about £65 to £80 depending on the style and flowers used. How much should a bride and groom look to budget for their wedding flowers in total? An average wedding would be about £600 to £700 (bride, 3 bridesmaids, 2 flower girls, 8 buttonholes, 2 pedestal arrangements) For a larger wedding with table decorations and corsages it would be £1000 to £1500. 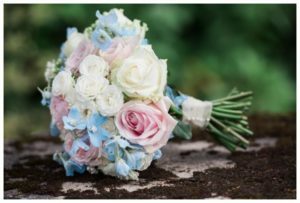 How far in advance do a bride and groom need to place their order so that you can preapre and arrange their wedding flowers? They should book their date as early as possible as the year gets booked up quickly, it’s best to book the date first and then come in for a more formal appointment when you have dresses picked and have colour schemes for the wedding. In twenty words or fewer tell me why couples should use you to supply wedding flowers for their big day? Together we will take your dreams and visions and turn them into reality for your special day. Is there anything else that you would like to add that would be useful to brides shopping for flowers or about your business? 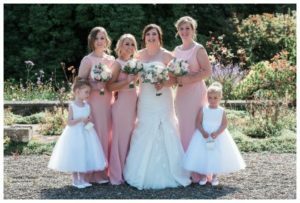 I am a trained florist (NDPF) in floristry, I have worked with numerous brides over the years and have enjoyed doing everyone of them I find no two weddings are the same and it keeps my job exciting and fun. 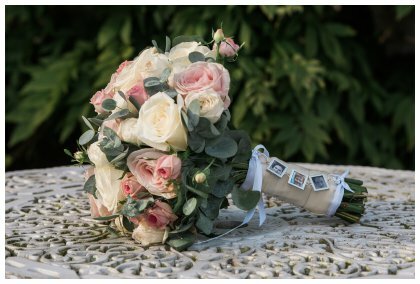 Some more photographs of Clairs flowers can be found on Anneka and Alan’s Wedding Blog.